Council set as one of its priorities to encourage public engagement with the Council. 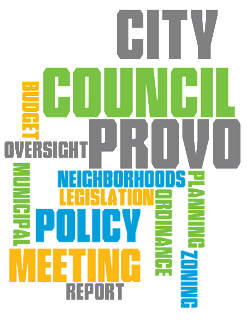 They expressed a desire to improve engagement with a wider variety of stakeholder groups and to use technological tools to make the Council more accessible to Provo citizens. Council staff have been researching potential options and reported on their recommendation for an online public engagement tool that would allow citizens to give input earlier in the process and provide Council with input in an environment free from some of the drawbacks of social media. A formal hearing for the budget appropriation for this tool will be held at the October 18 Council meeting. The Provo Police Department presented information on their selection of a vendor for body-worn cameras. Selection was based on a variety of factors, including durability, camera mount, staff time required, battery life, and storage capability. The Tazer Axon camera was chosen and includes unlimited cloud storage of the footage. Provo police officers want the cameras and look forward to not only the assistance they will provide with investigations, but also to the training value of the footage. A formal hearing for the budget appropriation will be held at the October 18 Council meeting. Heard a report on a parking study conducted by residents of the Joaquin Neighborhood. Discussed potential amendments to parking standards in Transportation oriented Development (TOD) and University zones. Heard an update regarding the process for quarterly review of 25 fees. Heard more information regarding the balance of private solar energy generation, consumption, and net metering alternatives. Discussed potential legislation regarding the regulation of trampoline gyms. Discussions on solar energy generation by Provo Power customers have been held during the September 6, September 20, and October 4 Council work meetings. Provo Power brought recommendations from the Energy Board intended to ensure coverage of operational costs. 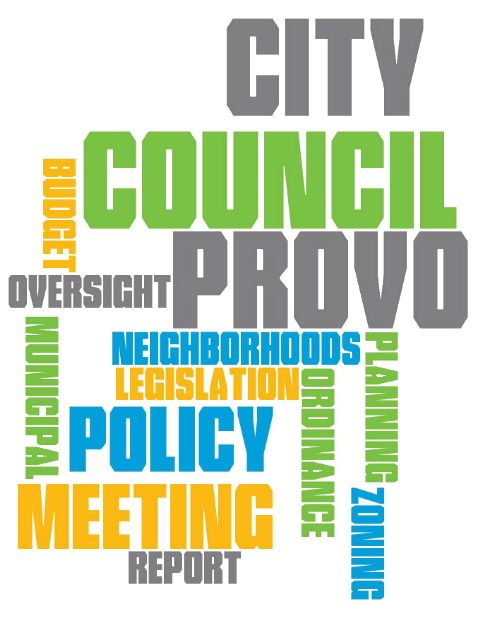 Council approved an ordinance amending energy rates on the Provo City Consolidated Fee Schedule. A solar capacity generation charge of $3/kW was added for net metering customers (those that have rooftop solar), effective January 1, 2017. Current net metered residences (net metering installed or an application filed with the City) as of October 4, 2016, will not be charged for the first 2kW of solar generation capacity. More information on this rate change was released by Provo Power on October 6. Michael Merz, Franklin South Neighborhood Chair, spoke about some of the changes coming to his neighborhood and called it "a neighborhood in transition." Upgrades to The Boulders apartment complex have already begun and will continue for at least one more year. Upgrades to 500 West are underway to connect it to the Lakeview Parkway. Other housing construction near the railroad tracks is also underway. Passed a resolution consenting to the Mayor's appointment of James Miguel as the Chief of the Fire Department for the City of Provo. Passed an ordinance enacting Provo City Code Chapter 6.11 to regulate the licensing of trampoline gyms in Provo. Passed a resolution appropriating $260,000 in the General CIP Fund for the Fleet Facility Project. Passed a resolution approving a power plan property lease agreement between Provo City and the Utah Municipal Power Agency. Continued to the October 18 meeting a request for approval of a zoning map amendment for property at 1290 North Geneva Road (Lakeview North Neighborhood) from A1.5 (agricultural) to R1.10 (residential). This will be formally heard at the October 4 Council meeting.